Ashley Helkenn, Senior Training Manager for Restaurant Chain, El Fenix, needed more than just a checklist app. Ashley required something to help her organization improve their existing operational assessment program and begin conducting field assessments digitally. For the team to achieve their goal, they needed something that was capable of managing updates and audits in real time. In a recent webinar, Ashley spoke on the impacts of a digital audit solution as part of their operations. Ashley discussed her experience with the operational assessment process before and after incorporating MeazureUp’s digital assessment solution. 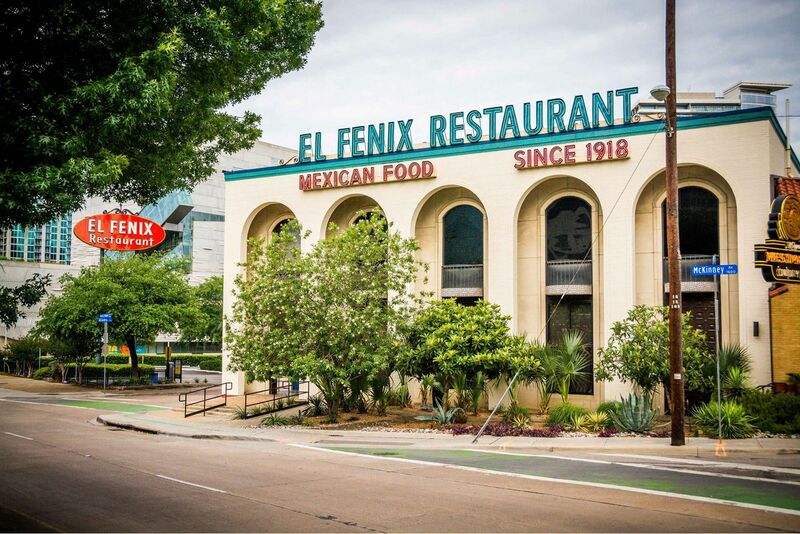 The story begins almost a century ago with its first outlet, El Fenix Mexican Restaurant, opening in Dallas, Texas in 1918. This year, El Fenix celebrates their 100th birthday! Since then the chain has reached a total of 22 locations. Before MeazureUp, Ashley’s team performed audits using paper and excel sheets, which “introduces the scope for a lot of human error as it depends on paper based note taking, then later reassembling them. This is all done mostly with memory and can result in providing an inaccurate picture besides being extremely time consuming”. At the start, Ashley was searching for a basic checklist app, but once she saw the capabilities of a complete solution like MeazureUp, she realized just how valuable this application could become. Ashley is particularly appreciative of features such as capturing images, adding comments and utilizing action plans: “[It allows] us to find the areas of opportunity and hold them accountable. Accountability is huge for us”. The MeazureUp tool, far surpasses a simple checklist app as it has the functionality to help organize multiple audits while keeping track of their progress simultaneously. She uses the Food Safety Assessment forms as an example, which applies to multiple locations, supplementing the normal field inspections. Specifically, the ‘geo-tagging’ option is something they frequently use, ‘as soon as the assessment is complete, everyone on the distribution list will receive an email tell us where the device is located and how long the assessment took. That has really been the game-changer for us in terms of accountability”. Ashley concluded the presentation by mentioning the time saved by adding pictures and comments instead of describing the issues through writing. “As a District Manager, you need to make an impact for your stores. With the MeazureUp App you can create an Action Plan assigning responsibility to specific managers, allowing one to keep track of a task in real time”. Ashley explains that data can “help set benchmarks” in addition to “realizing [potential] areas of opportunity.” Focusing on MeazureUp’s aggregation of information, Ashley emphasizes that “having [comments, pictures, and due dates] all aggregated within one field ensures standardization and brings consistency.” Many of the MeazureUp features could be available in a regular checklist app, however there is no checklist app that can take those inputs and create the rich level of data that the MeazureUp tool can. Ashley’s presentation revolved around the power of using a digital field audit app and how it transformed her management strategy by providing more time to focus on people, instead of worrying about logistics. With multiple locations under her portfolio, being organized with a digital audit app can be extremely helpful. Ashley concluded by saying: “MeazureUp has helped us become a people’s company again. Not only has it changed our operations but it changed our culture, helping us to raise our quality and streamline our team”. Click the link below to schedule a time to learn more about how MeazureUp can support your operations. Learn About Electronic Field Audits at the RC Show! MeazureUp is a digital field assessment solution that delivers consistency and sustainability of your operational processes. We offer management a quick and easy way to track performance and identify areas of improvement to make data drive decisions using our analytics engine. See what our customers think about us on Capterra. © 2019 Meazureup. All rights reserved.